Please note ALL services times are Mountain Time. 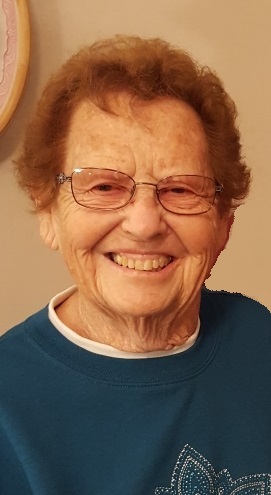 Longtime Goodland, KS resident, Wilma “Bill” Nadine Yoke, 81, passed away on Saturday, April 13, 2019 at her home in Goodland surrounded by her family. Wilma was born on March 15, 1938 in Hoxie, Kansas to Ray and Myrna (Batchelder) Spillman. She was one of five children. Wilma attended school in Hoxie and graduated from Hoxie High School in 1955. On July 30, 1955, Wilma married Ken Yoke in Amarillo, TX on the home plate of a baseball field. To this union, four children; Nancy, Pam, Les and Mike were born. In 1969, the family moved to Goodland. Wilma was a member of the First Christian Church. She enjoyed spending time with her children and grandchildren, gardening and reading. Preceding her in death were her parents and her three brothers and sister-in-laws; Lloyd and Ardith Spillman, Arlen and Opal Spillman, and Doren and Doris Spillman. She is survived by her husband Ken of the home in Goodland, her children; Nancy (Cliff Nolan) Yoke, Pam (Arlen) Riesen, Les (Debbie) Yoke and Mike Yoke. She is also survived by her sister Lois (Ken) Smith, six grandchildren; Rick (Jenni) Roeder, Kasi (William) Shephard, Thomas Riesen, Travis (Cayla) Riesen, Sydney Yoke and Aubrey Yoke, and four great grandchildren; Blake Roeder, Preston, Hayden and Bryna Shephard.